Flat, cat's tongue face brush for applying liquid foundation. 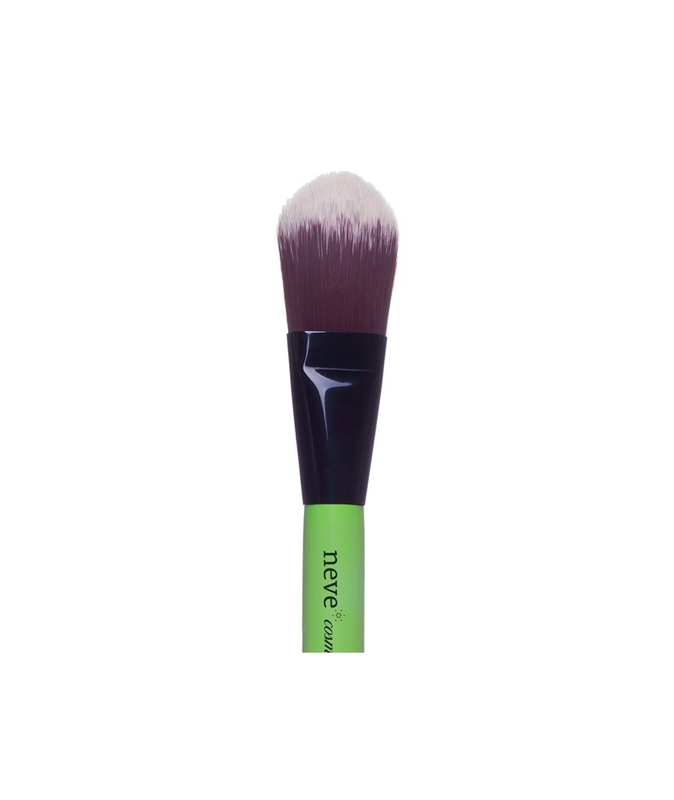 Flat, cat's tongue face brush for applying traditional liquid foundation. The bristles are highly flexible to allow you to apply foundation in thin, even layers. 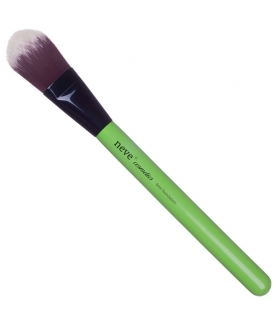 Lime green, varnished wooden handle with a shiny finish, shiny black, polished metal ferrule, dual-colour bristles made from cruelty-free synthetic fibre. Uses: concealers, foundations, cream or gel products. Max. brush lenght: 18,90 cm. Max. handle width: 1,30 cm.